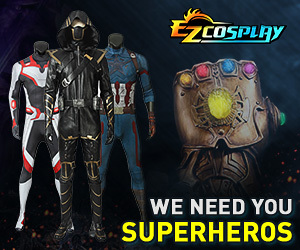 Who will you be cosplaying? I thought that the Otakuthon threads seemed.....empty, so I decided to make this~! This will be my first time at Otakuthon and I am very excited to see all the cosplayers and make new friends woot woot! I'll be cosplaying as Chihiro (Spirited Away), Nausicaa (Nausicaa: of the Valley of the Wind), and Aladdin (Magi). But this year should be lots of fun :D I have Tavros from Homestuck (Friday), Izayoi [aka Inuyasha's mom] from Inuyasha (Saturday), and Grell Sutcliff from Kuroshitsuji (Sunday). Only day I don't have a prop is Saturday. Since I'm going to try and make Tavros' dagger lance, and may be bringing my chainsaw for Grell. I will be wearing my Katara costume again. After wearing it for 4 or 5 years, I had wanted a new costume but can't get it ready in time. I'm looking forward to Otakuthon! :3 I'm still not sure what costumes to bring, but I'll definitely bring my Princess Peach costume that I wore at Anime North. I've been fixing up the costume since AN. I'll probably also bring a Sailor Scout costume. Most likely either Sailor Saturn or Super Sailor Chibi Moon. If things go well, I'll be going as Robin from Fire Emblem Awakening.